Many different parties share responsibility for maintaining the miles of pavement and sidewalks in New York City. When damage to those sidewalks leads to injuries, the hardest part of recovering rightful compensation may be determining just who is legally responsible for the patch of sidewalk that caused the injury. 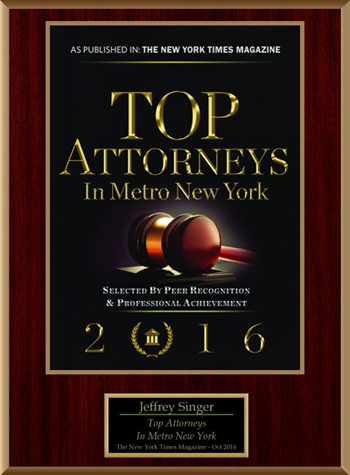 Fortunately, the experienced personal injury attorneys at the New York City law firm of Segan, Nemerov & Singer, PC can guide you through the injury claims process from start to finish. Just who is responsible for maintaining this sidewalk? But the question of responsibility for a safe sidewalk has more to do with the nature of the adjacent property than the reason for the damage. The city is responsible for a sidewalk when the adjoining property is a one-, two- or three-family residential dwelling occupied by its owner and used only for residential purposes. For all other properties, the adjacent property owner shoulders sidewalk maintenance responsibility. This includes any commercial building or residential structure that houses more than three families. New York City courts have also ruled that the owner of a building cannot delegate or defer responsibility for their sidewalks to any other party, including the city. What types of compensation can an attorney help recover in an uneven sidewalk injury case? The responsible party knew about the hazardous sidewalk and failed to repair it within a reasonable timeframe. The hazardous sidewalk directly caused your injury. You suffered financially due to your injury. If you or someone you love has been injured by a fall on broken or uneven pavement, time is not on your side. This is especially true when the liable party in your case is the city of New York. Contact the experienced injury lawyers at Segan, Nemerov & Singer, PC today to arrange a free consultation. 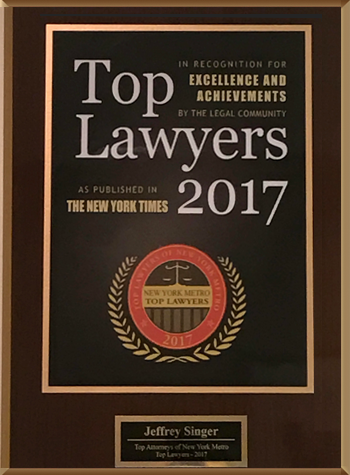 You can reach us online or at (212) 696-9100.